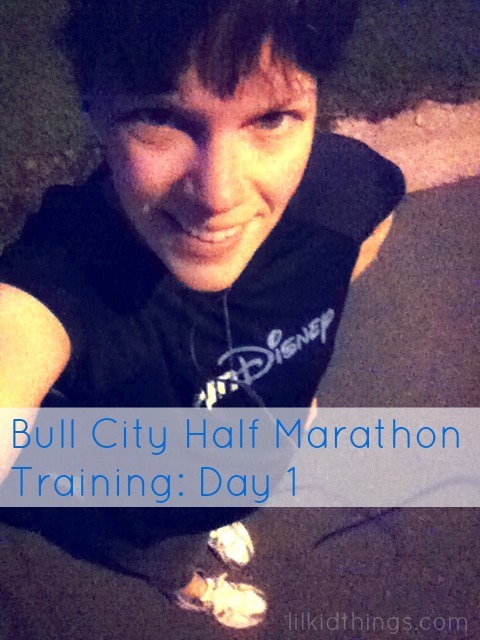 Home Disney TipsDisney Social Media Moms Celebration	If you’re going to run a half marathon, why not run two? If you’re going to run a half marathon, why not run two? My running journey has been a long one. And not because I actually run that much. It’s just that I can’t get over the idea of running. I hated it. Then I tolerated it. Then I quit. Now I am almost enjoying it. I seem to have turned a corner and I believe I have runDisney to thank! 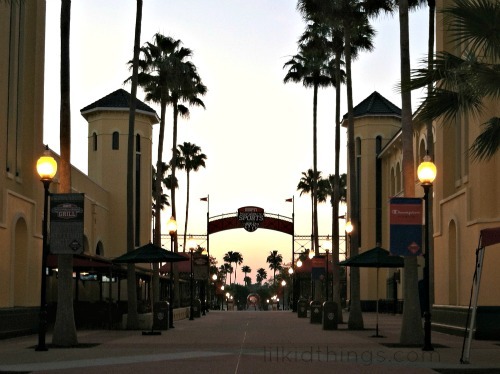 Earlier this year I toyed with the idea of adding a half-marathon into the schedule. I laughed at myself but really wondered if I could ever physically and mentally get there. It’s the mental part of running that really gets to me so I really didn’t know. Still, I was SO inspired by this recap of a woman’s experience at the Disney Princess Half Marathon and my good friend Ginger who ran the WDW Marathon this year that I started to ask questions. 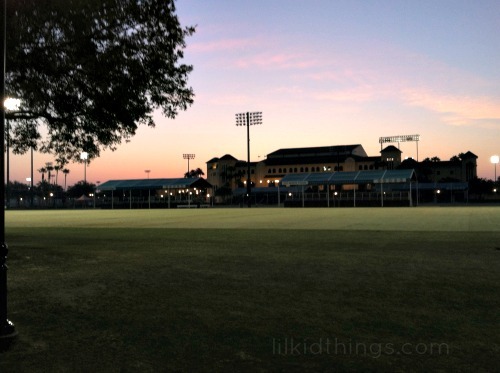 Also, I really wanted to run at Disney. Ginger and I met for coffee and agreed that in just under one year, we would travel together to run the Princess Half! She preferred the half distance and as of right now, I never plan on attempting a full marathon (to just get that question out of the way). It was perfect! 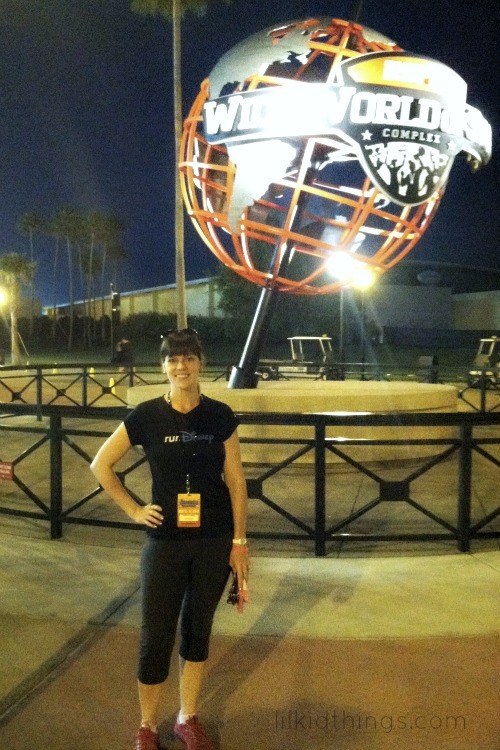 Then as an attendee of the Disney Social Media Moms Celebration, I was invited to participate in the first ever runDisney 2-mile fun run with Season 5 Biggest Loser winner, Ali Vincent as an optional add-on to the conference day. I signed up immediately! It just felt like Disney was in some part confirming my new commitment to running and adding a little magic to encourage me. The run was scheduled for 5:30am the morning of our long conference day so I had to be prepared. I was up at 4:30 and ready to go early! In fact, I had hoped to get some coffee but I guess I was a little too early for that. Oops. 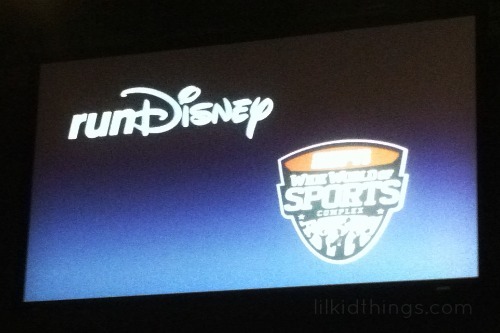 I made my way over to the buses and we were at the ESPN Wide World of Sports in no time, where we were greeted by the runDisney team. I had originally planned to join the walk/run group, but in a spur of the moment decision based entirely on peer-pressure I decided to join up with the runners. I ran the whole two miles which was a first for me! I typically walk/run so while I might run 2 miles all told, I don’t know if I have ever done it in one jaunt like that and it was great! My friend Melissa and I were chatting away until one of us said, wait is THAT the finish line? We didn’t even know we were almost there! If you know me, you know this is something truly amazing because I am always counting down the seconds to being done with exercise. A perpetual watch-checker, if you will. But not that day. We also got to watch the sunrise over the horizon, which always makes me take a minute to give thanks for the beauty around me. Running at Disney made me insanely excited for the Princess Half. But what I didn’t expect was being inspired to start sooner than that! The race is in February, which gives me more than enough time to train. But after some research and a new rule about verifying your time for corral placement, I decided that I will also be running the Bull City Half Marathon locally in October! In fact, I started my training this week and I can’t wait to share my progress with you. Yay! I have a lot of thoughts about this whole process from an emotional and psychological standpoint that I am still working through. But one thing that I have realized in the past few weeks is what continues to draw me to running. I have always tried to work exercise into my life, but I have never really been excited about it. That was fine with me because hey, you can’t love everything right? But there is something about perpetual exercise that just sucked the joy right out of the experience. Yeah, I might lose some weight or tone up, but it just wasn’t working. The thing about running, and races in general as I learn, is that there is a clear end game in sight. It is really the racing that makes this enjoyable for me. I can choose a race, train for it, and finish it. Check it off my list and accomplish something. I am a HUGE list person so when it finally clicked that this can be a real goal with a clear start/end point, everything in my mind flipped on it’s end. I am so excited about this journey now and I love that I can share it with you! Let’s do this! Do you race? What’s your motivation? Thank you! I don’t know where all of this is coming from but I am going with it ha! I would love that! And seriously, thank you for sharing your story. You really inspired me to just go for it! I don’t run and didn’t at Disney, but I love hearing the excitement and all the stories from those who did. Sounds like you found a way to beat the mental hardness – run with a friend! Best wishes on your running journey! Thank you so much! It has been crazy to go from seriously hating to run to looking forward to it. I want to go! Our two mile run was so fun! Running with friends makes all the difference. Ohhh do it!! You have plenty of time to train! I’m a slow runner, but I still do it. I recently completed my sixth half and a bunch of us are signed up for The Double Half Mary (yes, two halves in one weekend) in September. Love it!